Cloud computing is a booming area in distributed computing and parallel processing. Cloud provides services to its customer on pay-per-use basis. It has gained a lot of attention due to its unique features—elasticity, scalability, and on-demand services. Cloud facilitates both computational and storage service to its customers. This reduces the cost of deployment and maintenance for any organization. As a result, demand for cloud computing has increased considerably. To provide the services, cloud service provider needs to utilize all resources in an optimal way. To utilize all resources efficiently, task schedule plays a significant role. It is responsible for scheduling users’ tasks in the cloud environment. The task scheduler arranges tasks in a queue for the available connected resources. This arrangement benefits the cloud service provider to achieve maximum performance in a cost efficient manner. 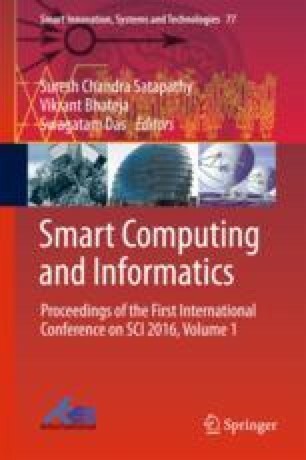 In this paper, an extensive study of some well-known task-scheduling algorithms in cloud environment is done while identifying the advantages and weaknesses of these existing algorithms. Future research areas and further improvement on the existing methodologies are also suggested.